One of the promising directions in the activity of our company is the design and installation of security systems and video technology based on US company FLIR. 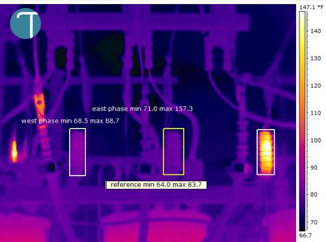 FLIR Systems is a world leader in the development, production of thermal imaging systems for the commercial sector as well as for the needs of government agencies. 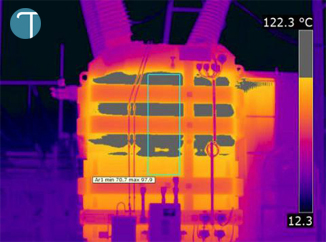 The thermal imaging systems to FLIR Systems uses advanced imaging technology of infrared images that can detect infrared radiation (or heat) and see objects in total darkness and in almost any weather conditions. 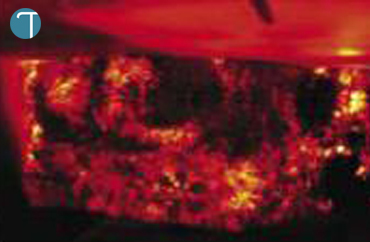 Heat imaging cameras – not a new word in the area of security. But the high cost makes it applicable only for government- and law enforcement agencies. Responding to the growing interest in thermal imaging, FLIR Systems has undertaken strenuous efforts to expand its business and in a few years achieved an annual turnover of over 2 billion US dollars. New technologies, expansion of production and reduce the cost of production made thermal imaging affordable for the average consumer. What is a thermal camera? 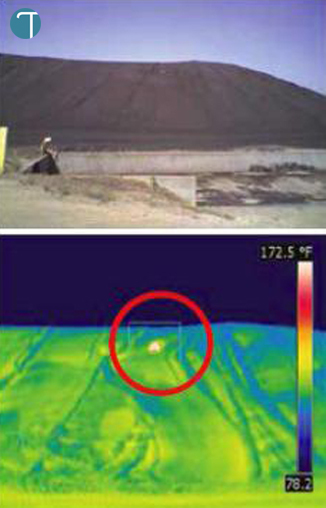 Thermal imaging cameras can see heat. They form an image based on the invisible to the naked eye, thermal radiation, creating a clear image in the darkest night. 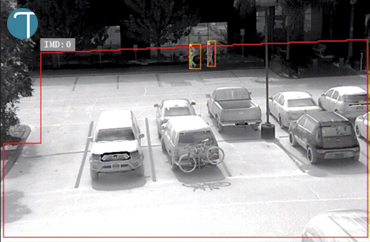 Unlike other video surveillance systems, thermal imaging cameras do not need any visible light sources to create a clearer picture. They can see through the fog and smoke, in almost any weather conditions. This makes this camera the perfect instrument for day and night observation. 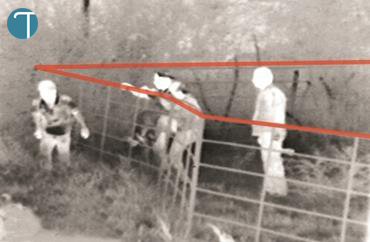 Thermal imaging device can be used in all types of security systems and surveillance. In the first place those which should ensure detection of potential intruders in total darkness and in all weather conditions. 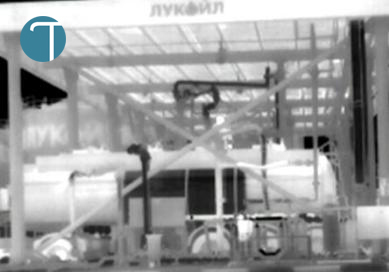 Built-in security camera system and / or the temperature of video analytic allows to classify the target size and the distance to the camera, check the integrity of the virtual perimeter or line, making the best means of heat camera at the protection of complex areas. 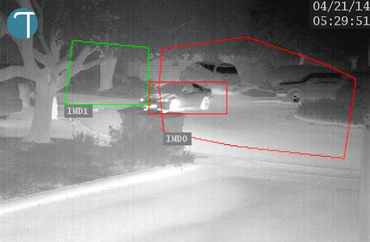 Intrusion detection occurs automatically in all weather conditions under all lighting conditions. 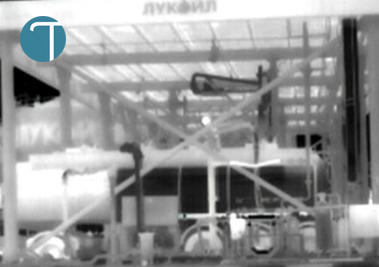 Thermal cameras can be used not only for protection of objects (along with video surveillance), but also for quality control of production and the prevention of illegal activities. 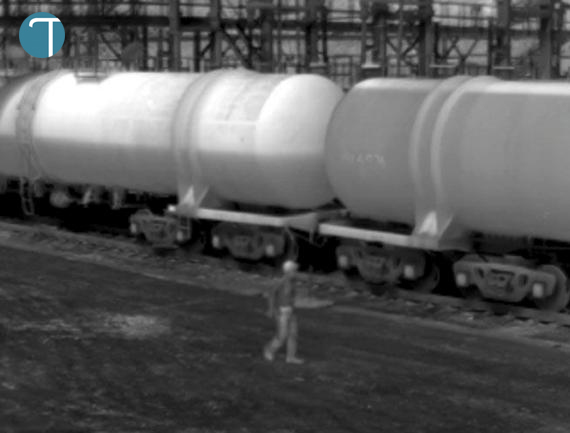 Refineries are traditional users of thermal cameras, in addition to protection, they control filling level of tanks. This is the most economically feasible way to detect oil spills during transport (photo – incomplete tank):. With the ability to measure the temperature the FLIR cameras are ideal for the prevention of fires – they are easy to use to identify hot spots, which are the first signs of a possible fire. The user can easily set different rules for regulation. If you violate any of these rules the alarm is automatically triggered. The simplest rule provides an alarm if the system is exceeding the defined temperature. 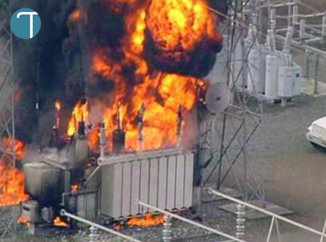 In other cases, such as waste incineration plant, you can set the rules by which the system will follow the rise in temperature, if not received the new waste. 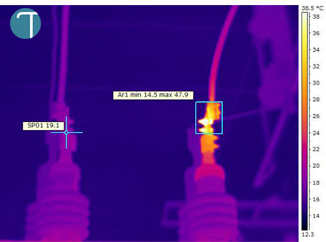 Energetic and electricity – what can thermal cameras do? 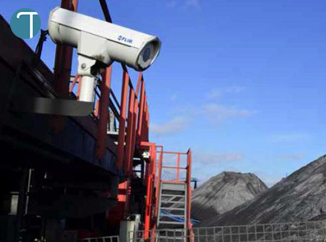 The cameras are able to detect the focus of auto-oxidation of coal at a depth of several meters (depending on the type of coal, mass and temperature auto-oxidation, temperature), under normal conditions, the depth of detection of the focus – from 15 meters in depth. Mode of operation – around the clock, monitoring the entire surface of the blade in an automatic mode.